The first stop is a small pond where we have to feed the fish as per custom. The walk up the hill is a bit tiring but the view from up there is magnificent! 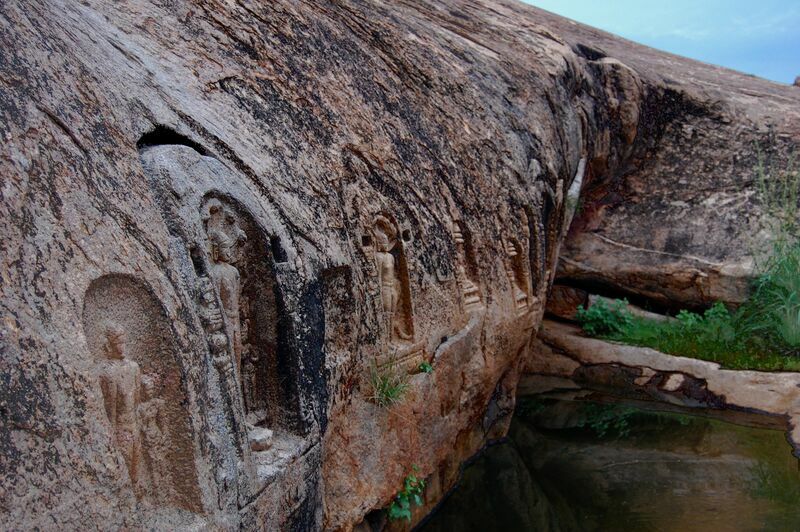 There are many carvings of gods on the sides of the hill. We travelled to this location with a host who helped us understand the whole concept of Jainism much better! This entry was posted in Temple, Tourist Place, Travel. Bookmark the permalink.